SOUTHINGTON - The Southington Town Council passed a resolution Monday to support keeping emergency services at the Bradley Memorial Campus of the Hospital of Central Connecticut. Six councilors voted in favor with two councilors - Mike Riccio and Tom Lombardi - voting against it. Victoria Triano abstained from the vote since she is employed by Hartford HeathCare. 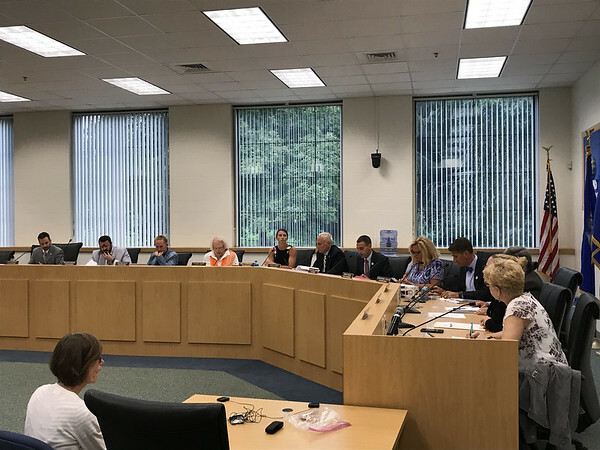 Gary Havican, Hartford HealthCare’s president of the Central Region, urged the council to postpone passing a resolution until he and local healthcare experts could present to the council. They had aimed to do so in late September. “We have not had the opportunity provided to us yet and a resolution without fact toward a subject so important as healthcare in your community can be misleading,” he said. When discussing the Bradley Campus’ future, Havican continued to argue that the facility can no longer deliver optimal care. Lombardi said he voted against the resolution because it is “unnecessary and unprofessional” to pass it before Hartford HealthCare has a chance to present its case before the council. Riccio said that Monday’s meeting was “the worst political pandering” he’d seen in all his years of politics. Councilor Chris Poulos said that Council Chairman Chris Palmieri and Councilor Dawn Miceli met with Havican June 4 and requested an analysis of what a renovation of Bradley Hospital would cost versus relocating services or building a new hospital. Miceli, who wrote the resolution, said that she considers Bradley Hospital a community gem and part of Southington’s culture. She said that she got the idea of the microhospital from Havican during their last meeting. Bonnie Sica, who heads the Community Committee to Save Bradley that came out in force at Monday’s meeting, said that the council passing the resolution was a big win. Posted in New Britain Herald, Southington Herald on Tuesday, 28 August 2018 20:16. Updated: Tuesday, 28 August 2018 20:19.